Styled with the super puff vest and agden t-shirt . 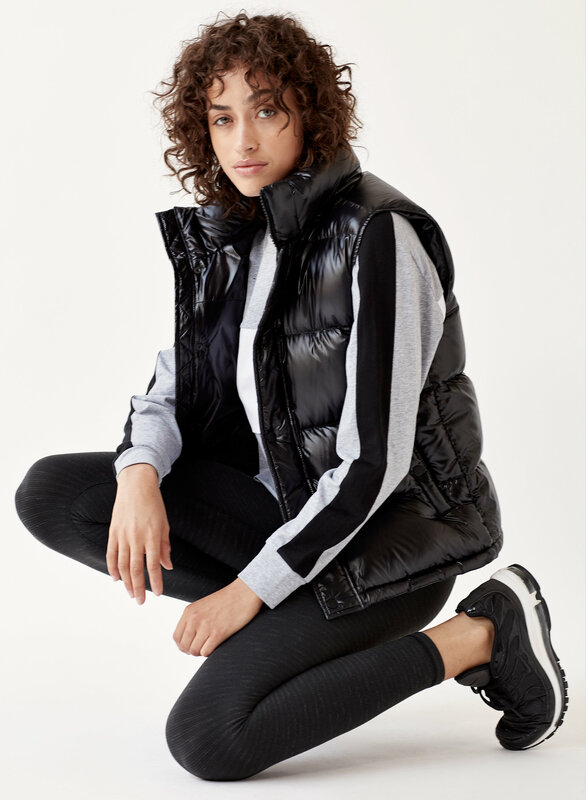 Comfortable, versatile and great for working out (or hanging out), the Equator Pant knows a thing or two about being flattering. This pair is made with a super-soft brushed fabric that feels great against your skin. Plus, you can customize the length to your liking. 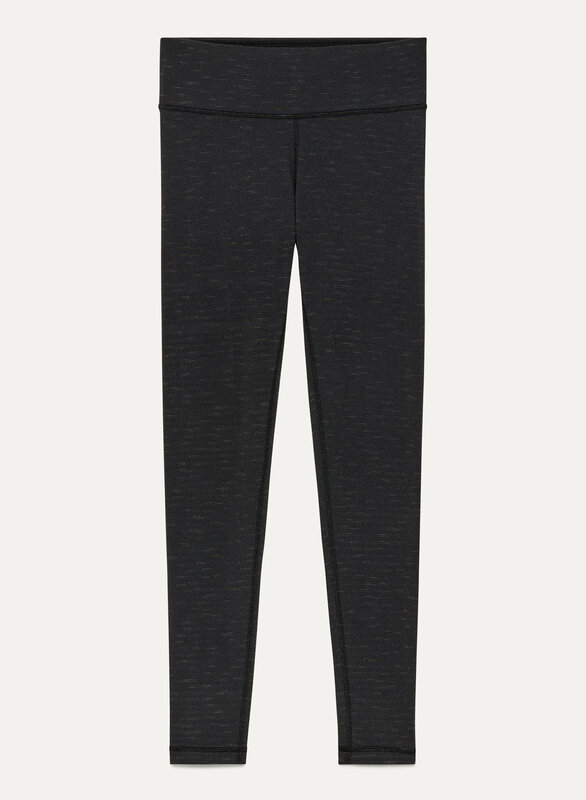 Super soft and comfortable, and the subtle horizontal stripes add a little something to the usual black leggings. They are mid-rise - they fall just below the navel on me (I am slightly short-waisted). I bought a pair 5 years ago and still going strong but I need more than just one pair of leggings!!! So I figured since they’ve lasted this long, this brand is amazing. Loved the fit. Comfortable to wear. Bought the black one first to try and i loved it so much that I bought the black purple as well. Highly recommend it. Please make more in other colours.